Google sells its last Nexus One | Android Blast! 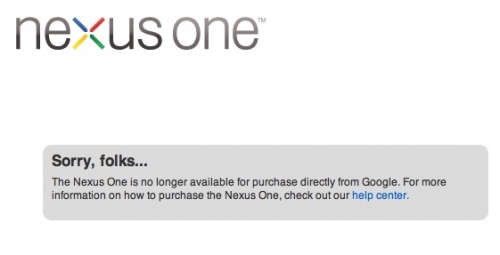 The Nexus One is no longer available for purchase directly from Google. For more information on how to purchase the Nexus One, check out our help center." The Nexus One will now only be available from Vodafone and other partners. Of course, you can always search eBay for a used Nexus One but your mileage may vary.